Run up to five video sources through our 19”/2 Video Switch KSW101. Jump between sources simply by flicking a switch. Jump between sources simply by flicking a switch. Its innovative compact design saves precious space while being fully rugged means it keeps performing even in the most extreme environments. 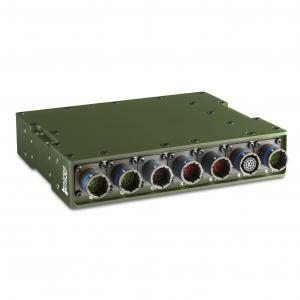 The Video Switch KSW101 is certified for airborne operations. It’s an ideal solution thanks to its exceptionally small size and low weight – it measures just 1.5kg and 1.76dm3. Our products always come with lifetime support to ensure your equipment maintains peak performance for many missions to come. We also serve units and stock spare parts for 5 years after end-of-life.